6. Total Time Playing Plazma Burst 2: 5-6 years. BoZ: I was retiring from the game at the time, did not want to be part of clan while inactive. 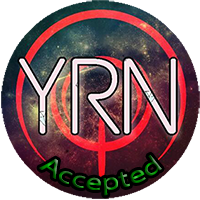 YrN: The direction the clan was going in at the time was not in line with what some of the members thought it should be, a mass exodus occurred, one that I was involved in. Envy: We had merged with BoZ. Wolflight: Everyone in the clan was banned for farming. EpIcZ: Me and Blarginspark decided to disband the clan.
? : Another failed clan attempt by Blarg and myself. BOA: I briefly joined BOA after EKAT, I quickly realized it wasn't for me. Because members of the clan want me to join, and I would also like to join my friends. Both with my skill and my status in the PB2 community. Allowing me to be apart of a community of friends. YrN: I left it, which i probably shouldn't have. As of right now, it is the most skilled and largest clan in PB2. I rail, play arena and play rockets. 18. What do you value more: Skill or Attitude? 23. Extra comments: Thanks for your consideration! I don't really want to be mean to you so.. i'm going to give you a chance like, if you answer all of our questions with details then i won't be negative with you. No questions from me but i might have some in the future. If you pass the Questioning Phase, i'm also going to read your answers that you are going to be posting for our questions and see if you actually do deserve a positive vote in at least from me. For now, Good luck ! Although if do leave again i sure you wont stand a chance of getting in for the 3rd time. Hopefully ill see you joining soon b. Nice app, i just have 1 question. @Slashdown wrote: YrN: The direction the clan was going in at the time was not in line with what some of the members thought it should be, a mass exodus occurred, one that I was involved in. Heeeeeeeeeeeeeeeeeeeeeeeeeeeeeeeeeeeeeeeeeeeeeeeeeeeeeeeeeeeeeeeeeeeeeeeeeeeeeeeeeeeeeeeeeeey, guess who can reply on applications again! A yes from me, hope you get in soon friend! @Zeid wrote: Nice app, i just have 1 question. I would, as all the members are my friends. I still have 2 decide what 2 do with ya... After all... u lost that saw against me..
Well done application, the knowledge I experienced watching your work, and the trust I've seen people put in you and give back not long after an incident that changed the clan. Others may not agree with me, but I know first hand you deserve it as much as the next guy. Meh its a well done app..tho the clans that you were in like EKAT and 3t died. So if YrN was in a situation of becoming dead what will you do? Leave for another clan or try to revive it? How will we know that you won't leave like last time? And swearing isn't an option....because you might not know what the future holds for you so please prove to me you won't make the same mistake again. That's all I have for you....be sure to answer them and good luck! @SuperFrank1004 wrote: Meh its a well done app..tho the clans that you were in like EKAT and 3t died. So if YrN was in a situation of becoming dead what will you do? Leave for another clan or try to revive it? I'd try to revive it. I honestly swear I will not leave YrN. There is nothing more I can do to prove this. I truly hope you guys trust me in this, I will put all my trust in return. I don't think I have any questions that anyone else hasn't asked. Your application is very solid and I would be pleased to see another serious person like yourself in YrN again. Good luck on your Voting Phase!